Ever since that first taste of the spotlight, I’ve pursued hobbies that put me in front of an audience. Dance performances, speech and drama, serving as a Chicago tour guide; I enjoy what many people dread – entertaining and speaking to a crowd. Professionally I’ve learned how to use that superpower to help others! Whether you need an emcee for your event, an “expert” to sit on your panel, or a speaker to entertain or educate your club or group, I’m at your service. Our patrons loved Molly, not only because she shared so much great information, but also because of her passion for and enjoyment of our great city. I think we all wanted to jump in our cars after her program and go listen to some blues and take a stroll on the Riverwalk. Molly is one of the most delightful and easy to work with presenters we’ve had here. We’d love to have her back. Molly Page is an engaging speaker who has visited our store many times to talk about her book and share her love of Chicago. She easily connects with both tourists and locals of all ages with her positive attitude and great sense of humor. When you hear Molly speak, you will definitely learn something new about Chicago and leave with a smile on your face! 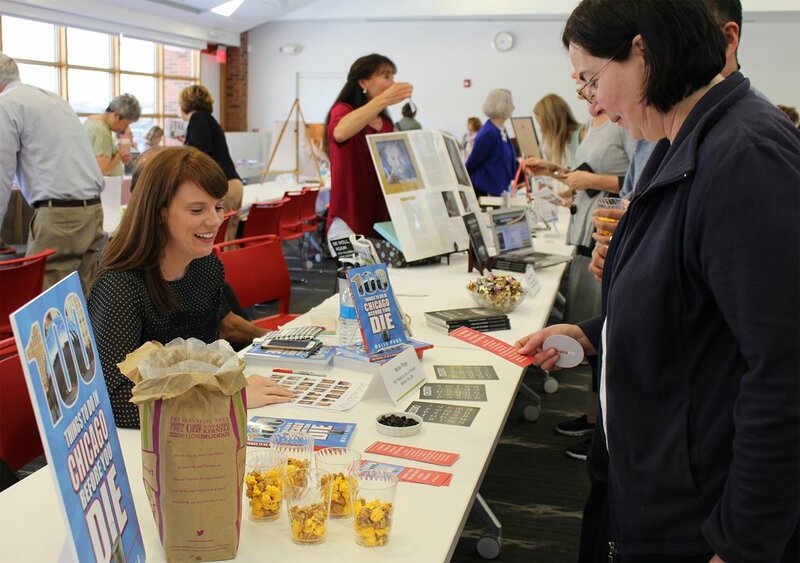 826CHI | Secret Agent Supply Co.
Molly Page made a wonderful and insightful presentation to the Men’s Club of the North Snore Senior Center located in Northfield, IL. 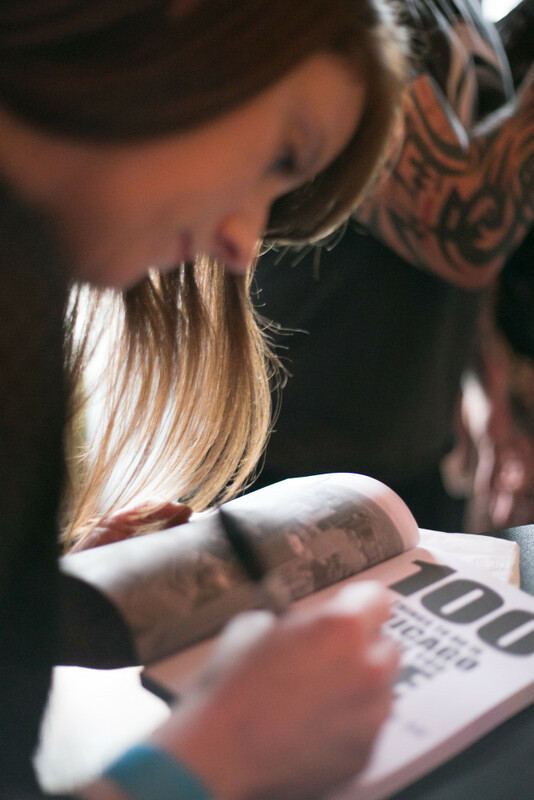 There were close to 200 men and women present, and even though we thought we knew everything about Chicago, Molly pointed out places that we didn’t know existed or we long ago had forgotten about. 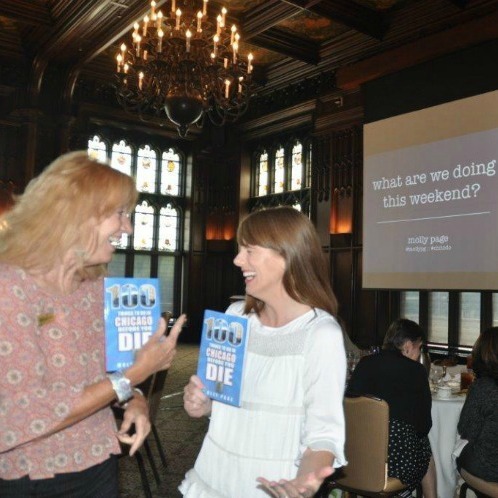 Molly delivered her stories and facts about Chicago with enthusiasm and charm, and it was one of the best presentations we heard in 2016. Molly Page was a delight to have in my bookshop! She tailored her presentation of 101 Things to do in Chicago Before You Die right on the spot to fit the interests of the people she had in the audience. Full of energy and zest for the subject, Molly will have even Chicago natives saying “I’ve never heard of that here in Chicago. I’m going to go check it out.” I’d have Molly back for a presentation each season if I could convince her to keep driving to the suburbs! While I’m always happy to work with you to create a customized presentation for your club or group, I’ve had success in the past with these. It could take a lifetime to experience everything Chicago has to offer. With all of those options, trying to decide what to do can feel overwhelming. Molly Page wants to help. In this one-hour presentation, she shares tips for planning your staycation, gives you ideas for your next date night, and introduces a few hidden gems you can explore with the whole family. Whether you’re new to the city or a life-long Chicagoan, you’re sure to be surprised and inspired to explore. They say the best camera is the one you have with you. So let’s make the most of the incredible tool we carry around every day! 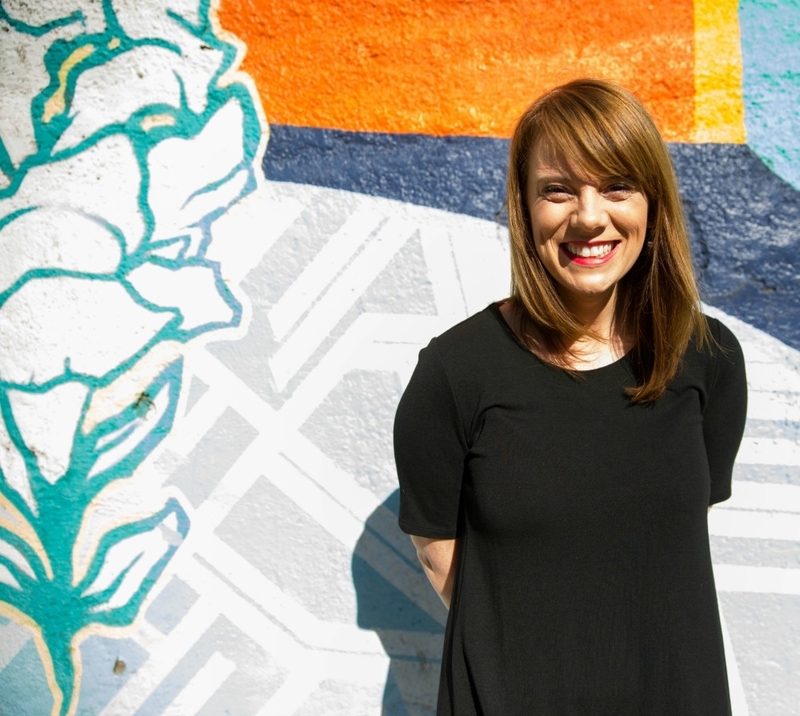 Social media consultant and avid Instagrammer Molly Page wants to help you transition from taking pictures to making pictures. 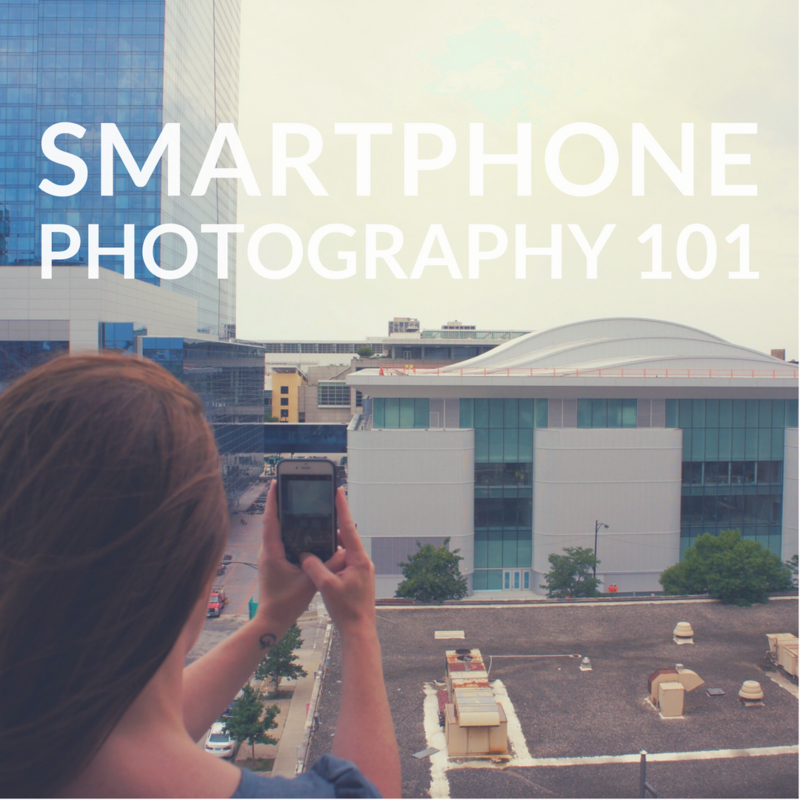 Learn new mobile photography tips and tricks, and explore options for editing and sharing your creations. It could take a lifetime to experience everything this one-of-a-kind town has to offer. With all of those options, trying to decide what to do can feel overwhelming. 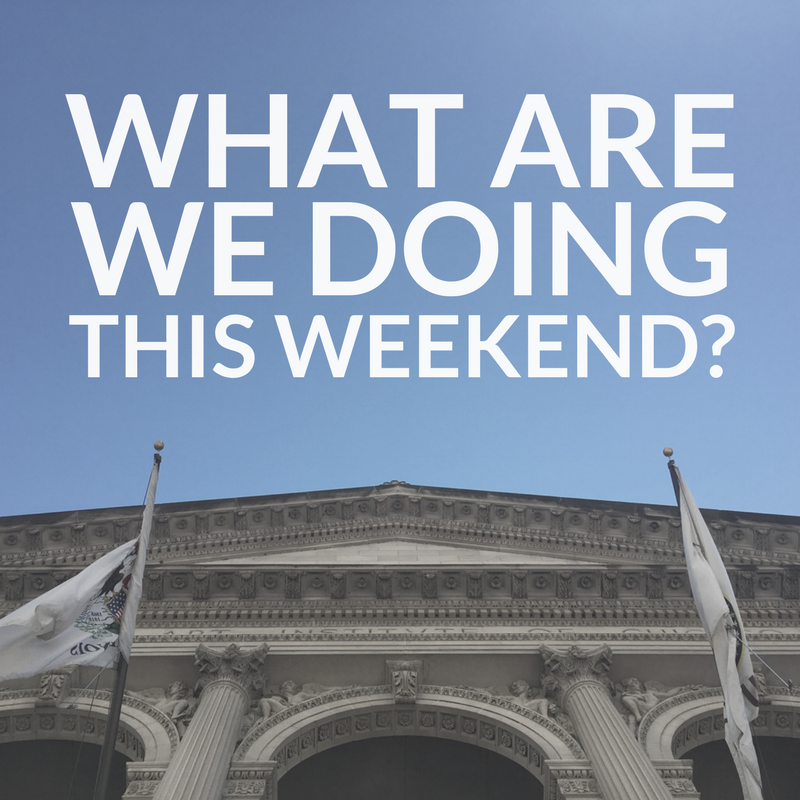 Join us as we answer the eternal question, “What are we doing this weekend?” You’ll get tips for planning your staycation, discover ideas for your next date night, and learn about a few hidden gems to explore with the whole family.